Generate leads either by making cold calls or by sending personalized messages, emails and letters. One to one messages, emails and letters will be sent with personal touch. 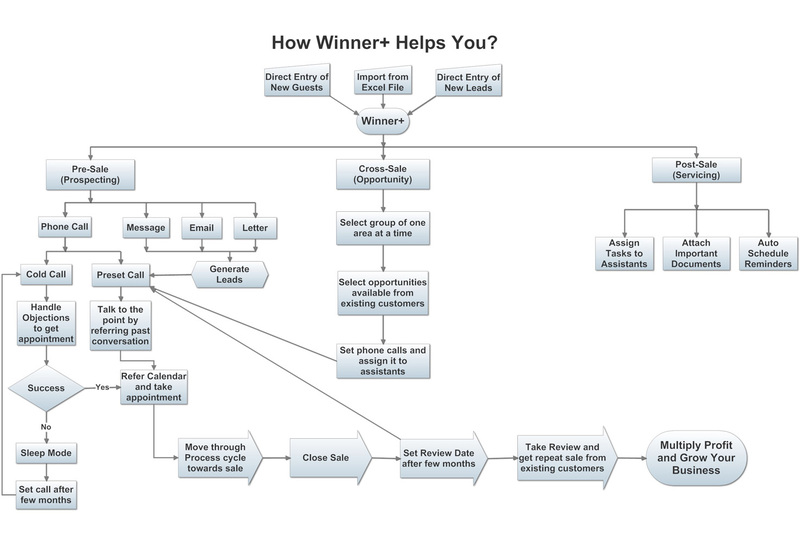 How to do cold calling? 1. 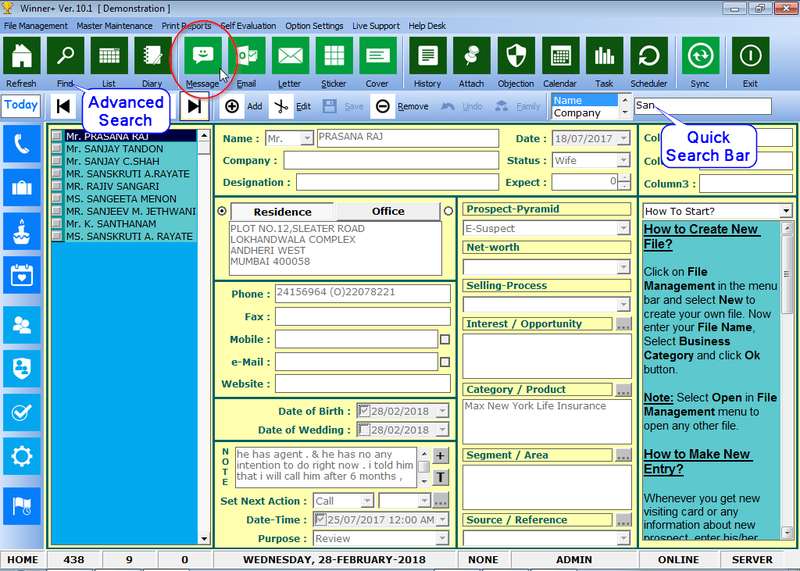 Search contacts eighter from Quick Search Bar or select any segment/group from Advanced Search button. 2. 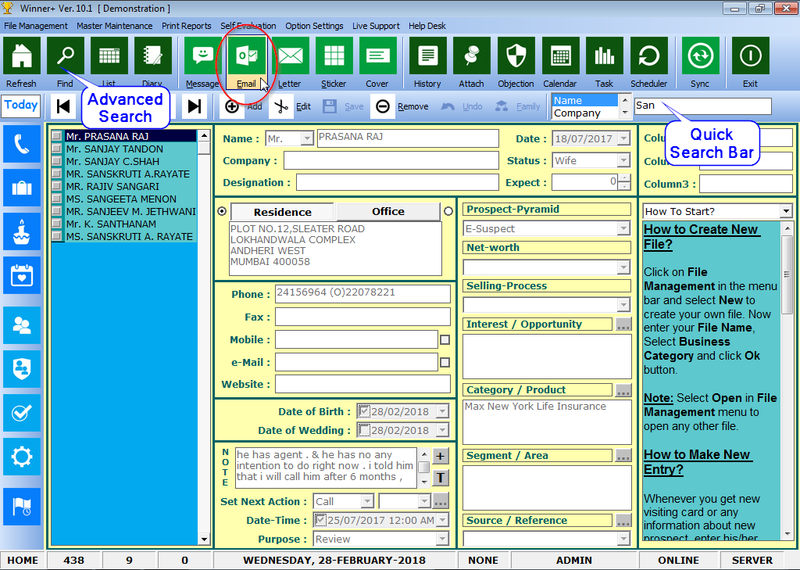 Click on Phone Calls button to get Action Toolbar for making cold calls. 3. Make a phone call & Handle Objections if any to get appointment. 4. 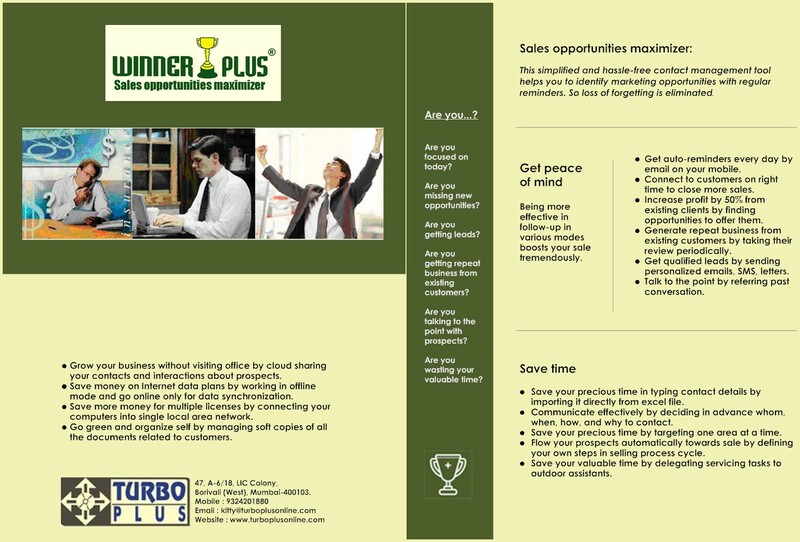 If got meeting refer Meeting Calendar to confirm that you are free at that time. 5. Enter Note about the discussion between both of you. 6. Set Next Action as Call/Meeting. 7. Enter Date-Time of call/meeting. 8. Select Call Response from the list. 9. Select Next Action from the list (if required). 10. Select Assign To person from the list (if required). 11. 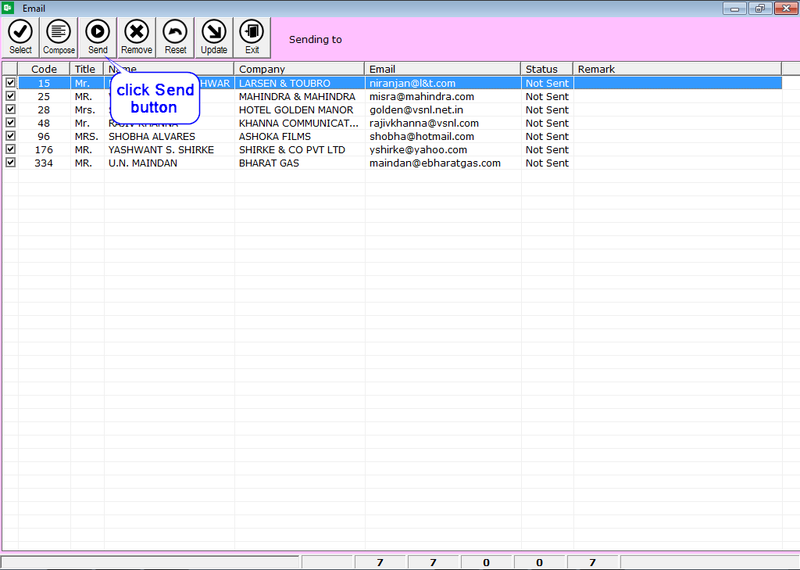 Finally click Done and Next button to save call details and goto next cold call. 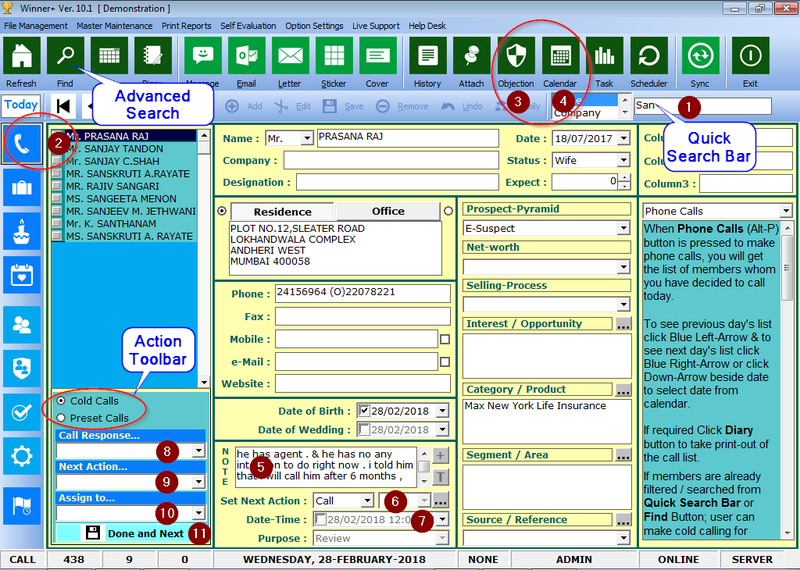 Search contacts eighter from Quick Search Bar or select any segment/group from Advanced Search button. Click on Message button to Compose SMS. 1. Select your Business category from the list provided if you want to Send Ready-made SMS from Template. 2. 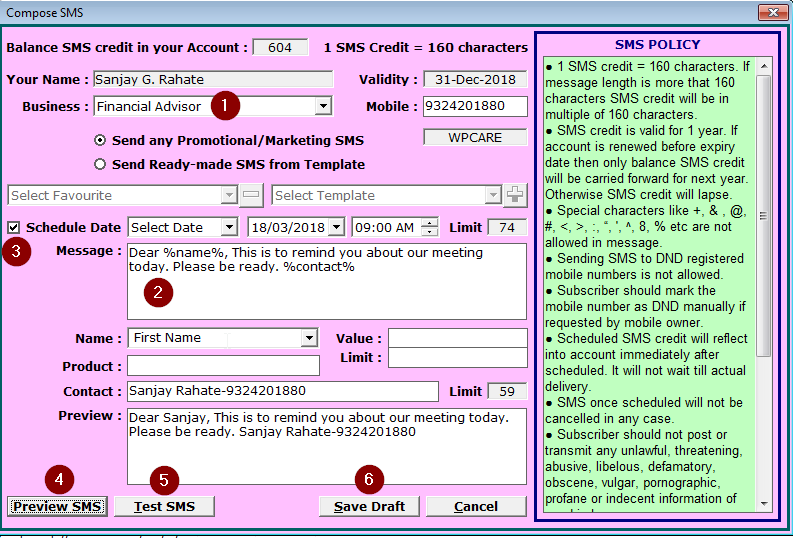 If you want to Send any Promotional/Marketing SMS type your message directly in Message box. 3. Tick Schedule Date and Select Date & Time if you want to schedule messages on future date. 4. Click Preview SMS button to preview message. 5. Click Test SMS button to test message on your own mobile number. 6. Click Save Draft button to preview entire message list. Click Send button to start sending/scheduling messages. SMS will not be sent to DND registered mobile numbers. Click on Email button to Compose Mail. 1. Configure Email with entering log-in details. 3. Tick Add to add First Name before email subject. 4. 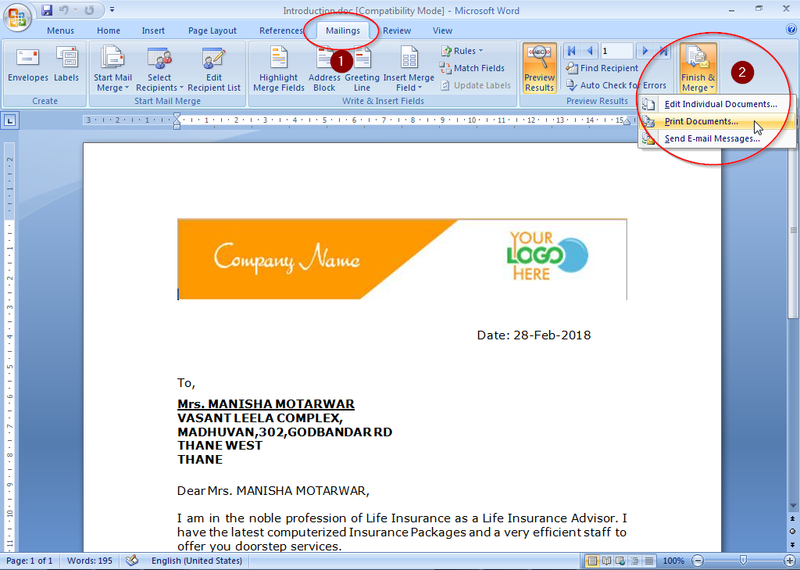 Compose email with using Formatting Toolbar. 5. 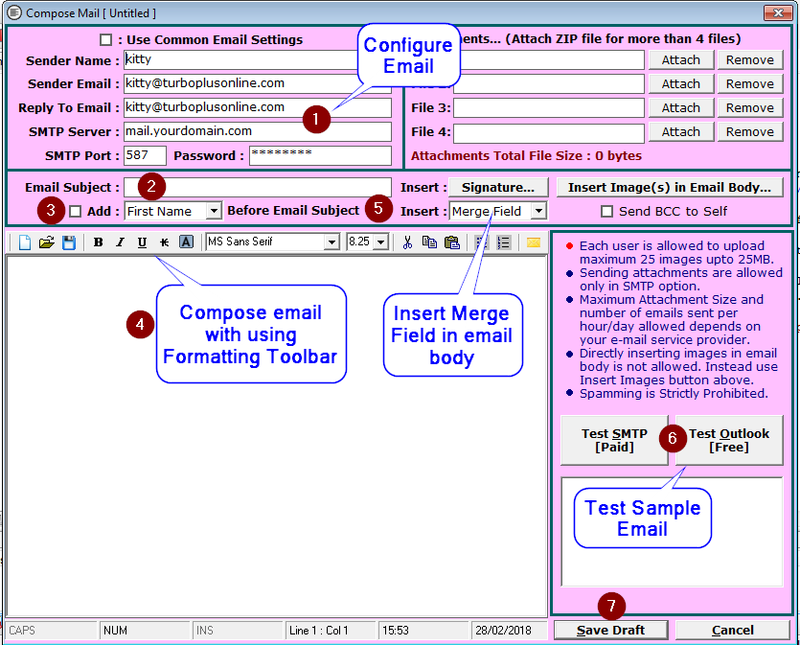 Insert Merge Field in email body wherever required. 6. Test Outlook or SMTP button to get sample email in your inbox. 7. Click Save Draft button to preview entire email list. Click Send button to start sending emails. In Outlook option emails will be stored in Windows Live Mail Outbox. Then send them for delivery. Click on Letter button to Group-Mail. 1. Select Letter from the list. 2. Select field from the Available Fields list if any more column is required. 3. Remove field from Selected Fields list if any column is not required. 4. Click Print button to open word document and answer Yes. 1. In Microsoft Word click on Mailings tab. 2. 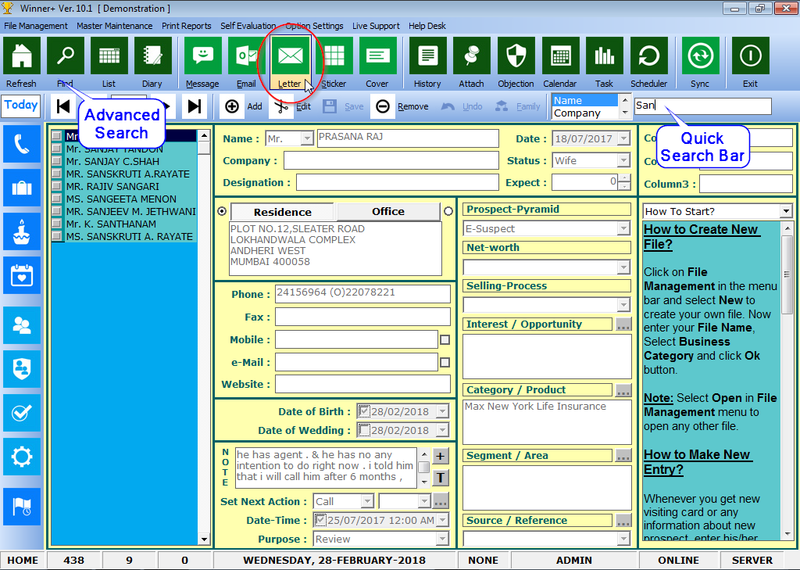 Click on Finish & Merge button and select Print Documents option. Then click Ok to start printing. 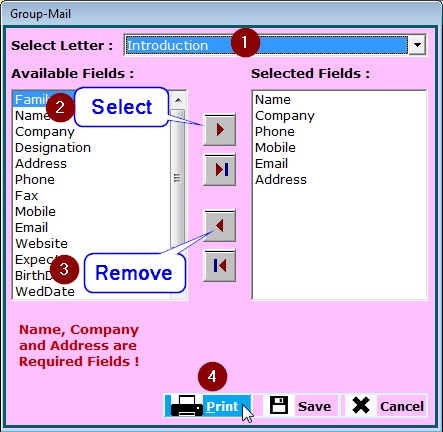 All letters will be printed for selected contacts with individual name & address.